Recently, I’ve noticed bees inside my garage. Just a few at first. They would show up and fly around whenever I turned on one of the big shop lights. 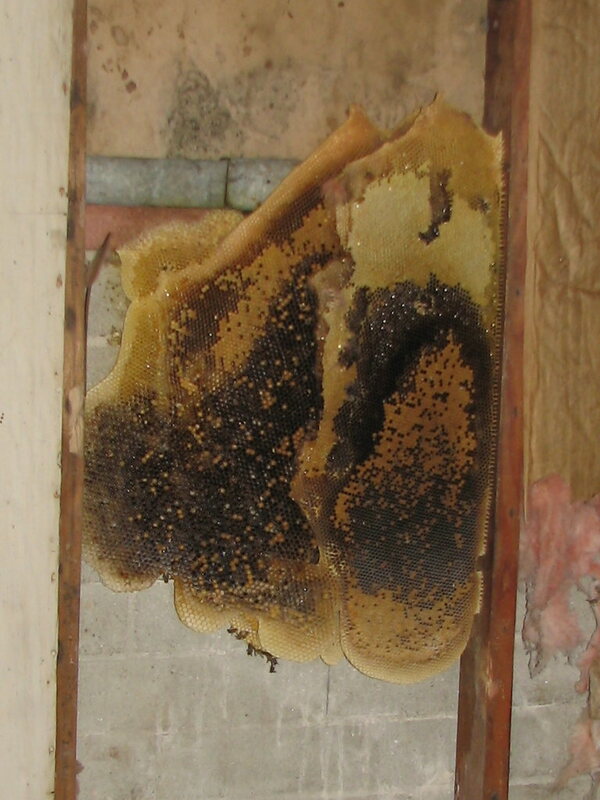 And it turns out there was a beehive built into the back wall of my garage. I didn’t know about it for a long time, since the entrance was outside on the back of the garage, and that’s right on the wall at the back of my yard. But the neighbors behind me told me about it and showed me where the bees were coming from. So I did a search on ‘bee removal’ and came up with a few places to call. They all quoted about the same price for taking it out, and All Valley Bee said that they could send someone out Sunday afternoon. 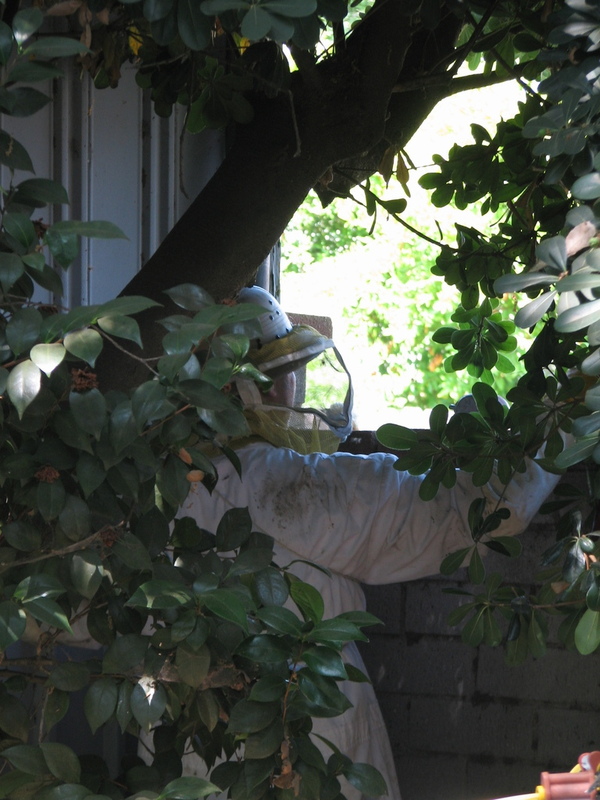 So I went with them, and the guy showed up and thoroughly sprayed the hive to kill off the bees. 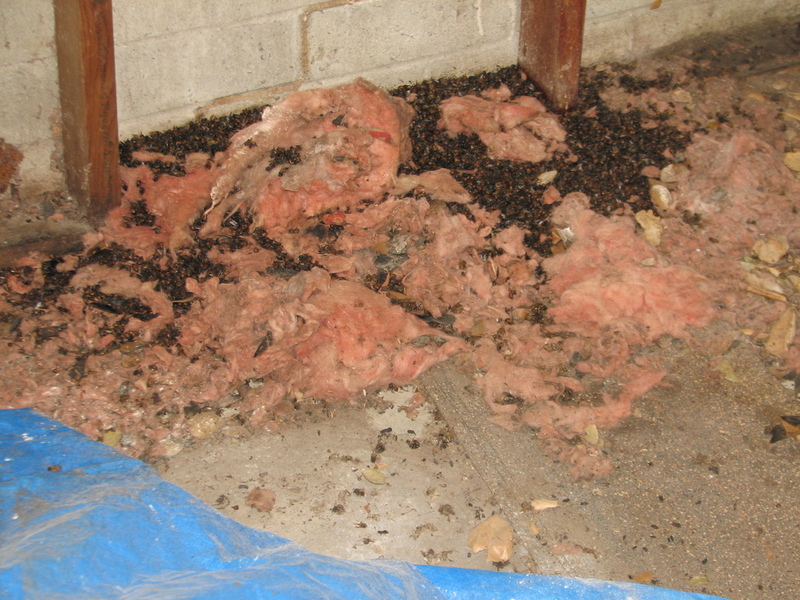 The pile of dead bees on the floor of the garage was pretty impressive in a weird sort of way. The next day, their dispatcher called me and we set up an appointment for them to come back to do the actual removal. When they opened the wall up, there were still some bees in there, and they were not happy. The guys sprayed them and then waited a few minutes for them to drop. 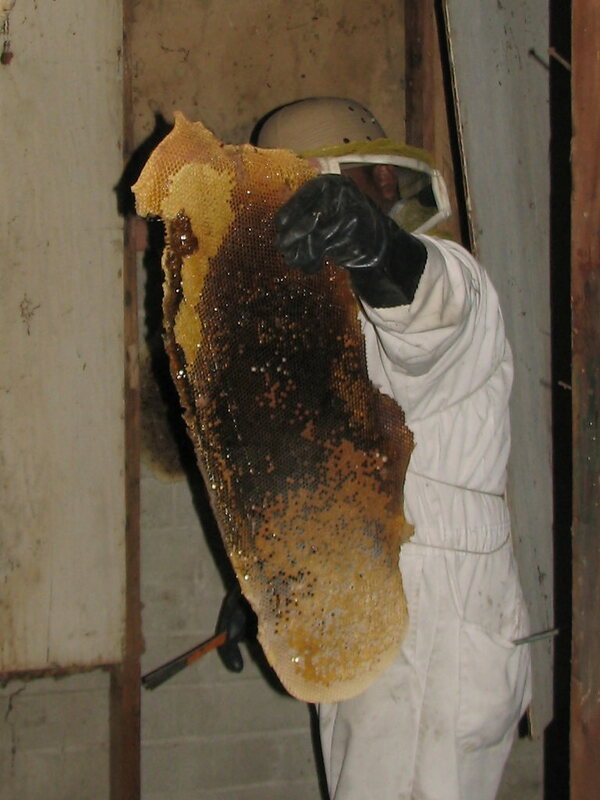 Then they finished opening the wall and took out the hive. They said it was something like 30 pounds of honeycomb in there. They cleaned up the wall, caulked the holes to the outside, and filled the space with fiberglass insulation. On the one hand, that means my workshop is once again usable. On the other hand, maybe having a bee hive in the yard was why I got such a good tangerine crop last fall. But either way, no more bees. Did you keep or eat any of that sweet sweet honey? It would have tangerine flavored.